One of the ideas I am exploring for travel around the USA is a camper van. One of the great things about traveling around SE Asia is the ease of finding perfectly fine accommodation at very reasonable prices. That isn’t nearly so easy in the USA. And also travel around the USA by car offers many advantages over air travel (given how horrible the customer service is for air travel in the USA). Also most places you visit having a car to travel around is necessary. Especially if you want to visit state and national parks, as I would. Really there are a few places, such as New York City where traveling locally is easier without a car, but that is very rare. The customizations are done by Danbury Motor Caravans. Sadly (for someone in the USA) they are in the UK (they also provide vans for Europe). Also the vans are not cheap, but they really are quite amazing vehicles. I hope we see more of these options. Comment with options for those in the USA. Another interesting option from Danbury is the smallest, and also cheapest (from £19,345) based on a Ford Transit. I would like something that I can drive easily (not some oversized behemoth), that is comfortable to sleep and work on the computer in (for when the weather is bad). The idea would be to sleep at campgrounds and RV parks and the like (but also with the option of staying at motels and lodges). For those times when you are parking and sleeping without the conveniences at a campground a bathroom option would be nice (but it seems that will be hard to fit – some kind of camper toilet would likely have to do). I am not sure I will find anything that works but the right option could make for a really useful way to travel. I also probably wouldn’t get one of the Danbury vehicles (due to high prices) but the more of these on the road would mean used vehicles down the road which is something I might consider. Or if I come into a bunch of money then I might be able to pick up a wonderful vehicle myself. The Jefferson Building of the Library of Congress in Washington DC is one of the most ornate buildings in the city. It was opened in 1897. 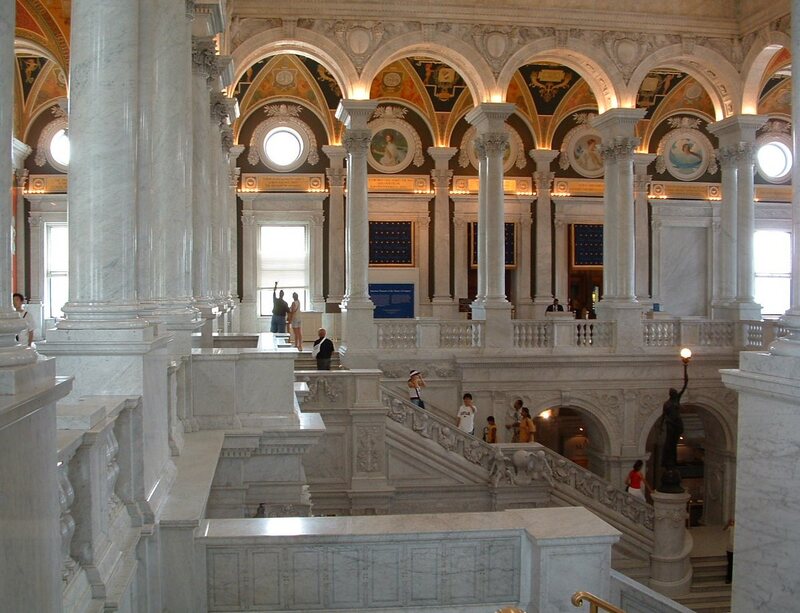 The Library of Congress also includes 2 more buildings (built much later). All 3 buildings are near the Supreme Court and the Capital. 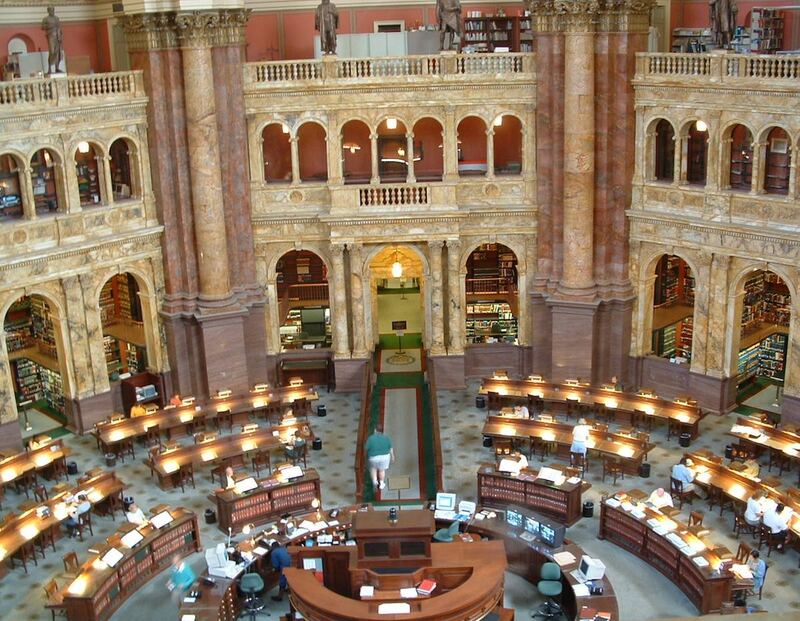 The main reading room of the Library of Congress. 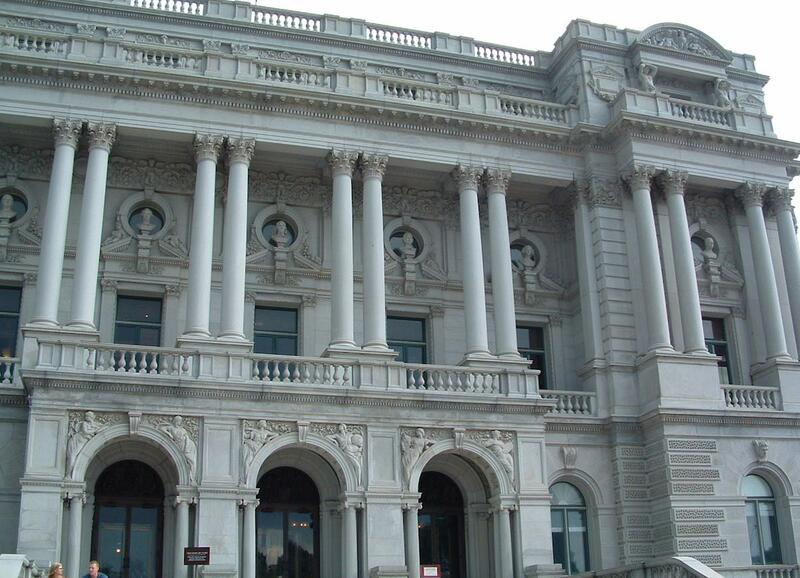 The Library of Congress was established by an act of Congress in 1800 when President John Adams signed a bill providing for the transfer of the seat of government from Philadelphia to the new capital city of Washington.